We were going to visit the Tropenmusem to see the latest exhibition of Body Art! 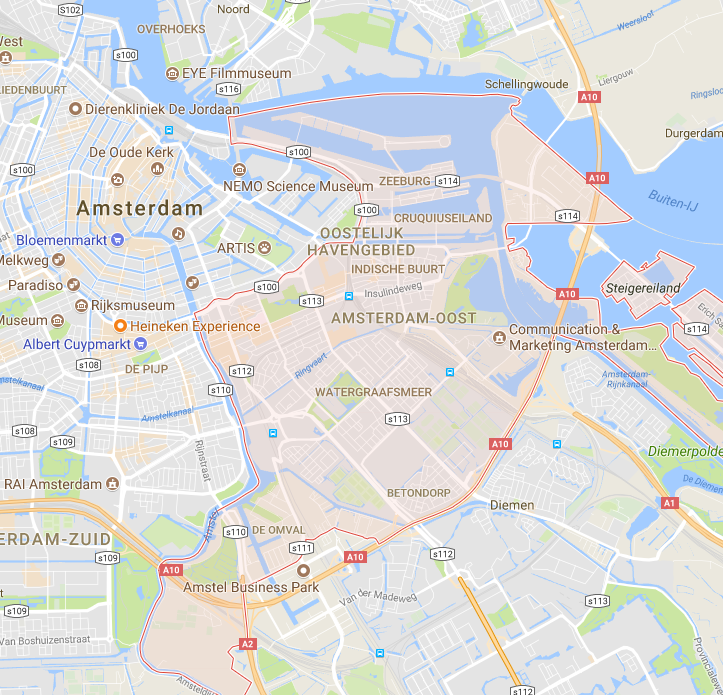 Then, we were going to explore the region of Amsterdam-Oost. We walked 11 km that day! 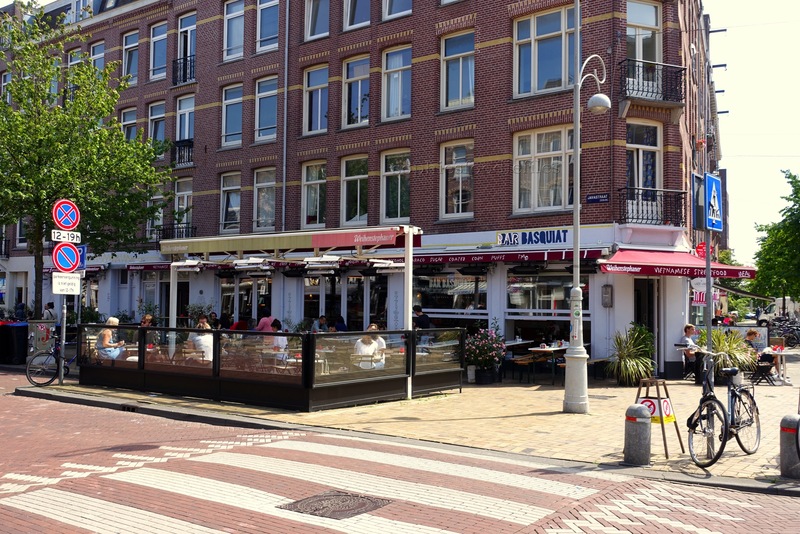 Through our friends, we heard that this part of Amsterdam, is the part that is up & coming! Well, then it is really up & coming in a few years from now on, we would say. A few photos of the exhibition! 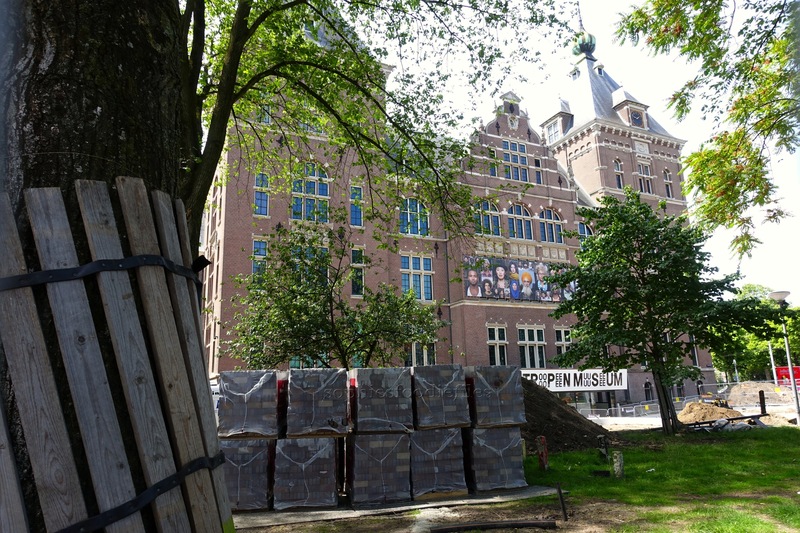 The Tropenmuseum is in restoration! This is a beautiful big large building from the outside. Inside, the staff behind the desk were all very friendly & helpful. 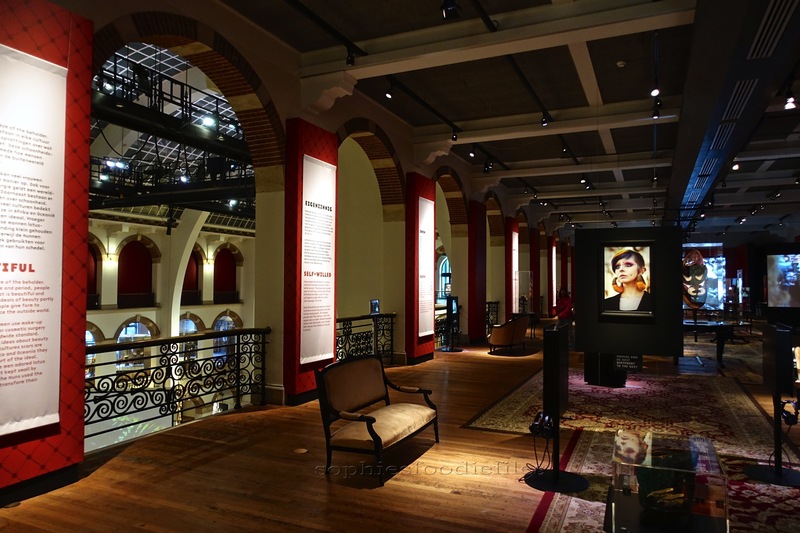 This exhibition costed 15 Euro per person. It was situated at the 2nd floor. You could reach it directly with an elevator. Easy! Body Art is about body decorations in the broadest sense: from make-up and tattoos, to implants under the skin and surgical alterations, through the ages and across cultures. The key question is, why do people alter their bodies? A girl with a split tongue! 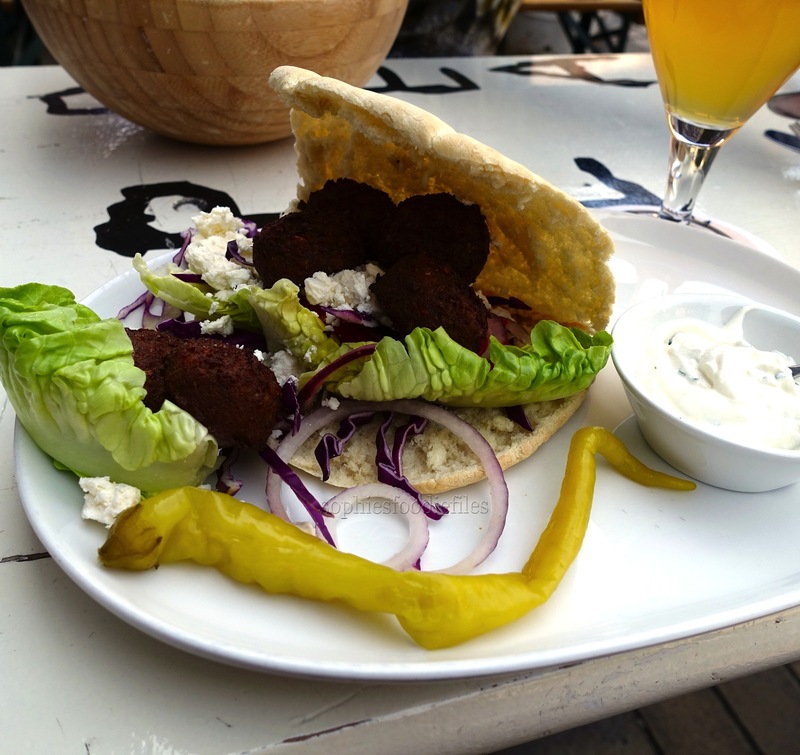 It was the vegetarian falafel with a side salad, pita bread, red onion & some feta with a dip. 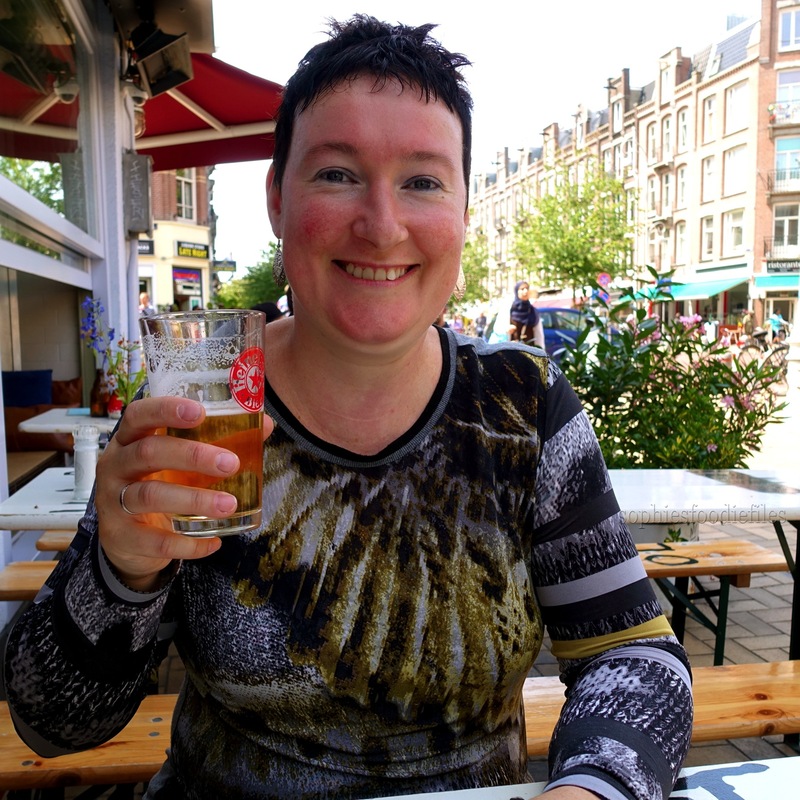 He took a local beer from brewery Het Ij. It was a wit bier. A white beer. That is refreshing in this hot weather! It was also very tasty indeed. Even that the beer is local, it costed a lot, like: 5.25 Euro. The falafel costed 7.95 Euro. All by all it was a lovely place to sit & let the world go by & the food was very good! This bar has a good vibe, nice cosy interior with a lot of wood that is used here, cosy outside banks, lovely plates of food of good quality & fresh produce!! Next Post A Fruity Seasonal Salad for you & me! Zeer informatieve tekst en prachtige foto’s, vooral van een stralende Sophie! I have been to the Tropenmuseum a few years ago. What a cool exhibition! Nice place to have a late lunch too! What an interesting morning!! Glad that you found such a bright lovely place to eat. Don’t you love vacation days away. Gives a fresh perspective and makes you ready for getting back to real life! 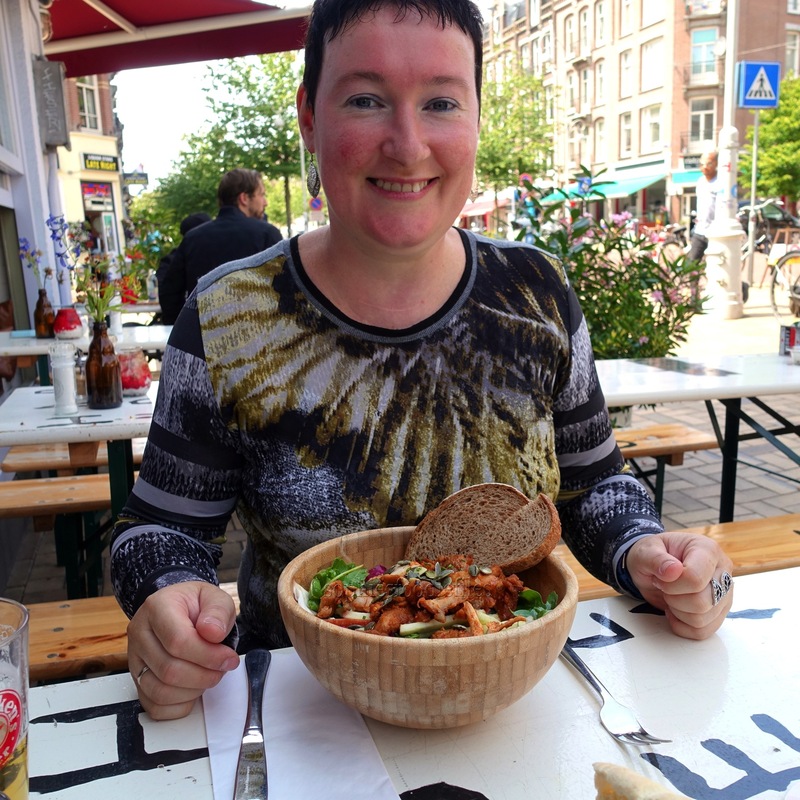 Loved seeing your time in Amsterdam– thanks Sophie!! hugs hugs!